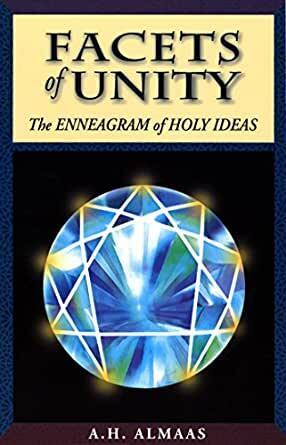 Facets of Unity presents the Enneagram of Holy Ideas as a crystal clear window on the true reality experienced in enlightened consciousness. Here we are not directed toward the psychological types but the higher spiritual realities they reflect. We discover how the disconnection from each Holy Idea leads to the development of its corresponding fixation, thus recognizing each types deeper psychological core. Understanding this core brings each Holy Idea within reach, so its spiritual perspective can serve as a key for unlocking the fixation and freeing us from its limitations. Profound and helpful explanations of soul/mind dynamics. Including patterns of hindrance and delusion. Expansive direction and guidance which is deeply nourishing and hopeful. 5.0 out of 5 starsFacets of Unity introduces Enneagram students to experiencing Reality beyond words. 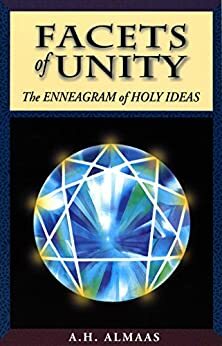 This is not easy reading, but students of the Enneagram will not find a better discussion of the Holy Ideas - the facets of unity. Basic Trust, Living Daylight or Loving Light, and Holding are terms used to describe the indescribable that is beyond words. This book took my understanding of the enneagram to a whole new level. It should definitely be an advanced level book, after you have a pretty firm grasp on the system. This book definitely took my application of the enneagram in my life to a much more spiritual level. I was very much still at odds with religion (the organized religions of my upbringing to be more precise) and after finishing this I was much more open to the idea of bringing some of that spirituality back into my life. This was definitely a "difficult" book, keep going and don't give up as the further I went into the material the more it began to sink in and all come together. I read From Fixation to Freedom by Eli Jaxon-Bear prior to reading this and I would suggest that to anyone who wants to read this book. It was a much easier to grasp introduction to the 9 holy ideas and the split duality of each type, which is a good thing to have an understanding of before getting into Facets of Unity. 5 people found this helpful. A profound book about the anneagram...a difficult read if you are not a student of Hameed Ali's. And if you want to more deeply understand the anneagram, and if you are a patient reader, this is a true help on the road to realization. A.H Almaas is truely amazing and profound. If you've never read him, do so — either this one or another of his prolific output. 5.0 out of 5 starsThis was the last "spiritual" book I bought. This book hit all the right spots for me. I bought it when it first came out. In spite of the fact that I had read many good books on inner work before this one, I was still surprised by the power that the words had on me. What really pleased me about this work is that it treats the ennea-types as fixations. I have found that in my own life, I was not just one type for very long. In other words, I could relate to all the other "types" at one time or another. Almaas explaines this by saying that if you have one fixation, in a sense you have all of them. If you are totally free from one fixation, you are free from all of them. One's inner orientation is either on the ennea-fixations or on the "Holy Ideas." There a many details about this that I hope you will read for yourself. I would recommend this book for those people that have had some experience with inner work already. I wouldn't recommend this book if you have had very little or no experience with inner work. I don't think proir knowlege of the enneagram is necessary to get the most from this book. 103 people found this helpful.